This week, we FINALLY get around to a review of the first season of the new animated series, Star Wars Rebels which aired on DisneyXD. After some small news discussion about the episode 7 Vanity Fair spread, we get into it. 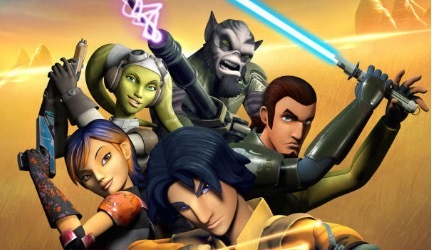 We discuss the characters and each episode of the first season of Rebels and have agreat time doing it. Next time, we’ll be chatting about more general Star Wars news and topics, after that we’ll get to our next book, Paul S. Kemp’s Lords of the Sith. « Episode 18 – Celebrate Good Times, Come On!